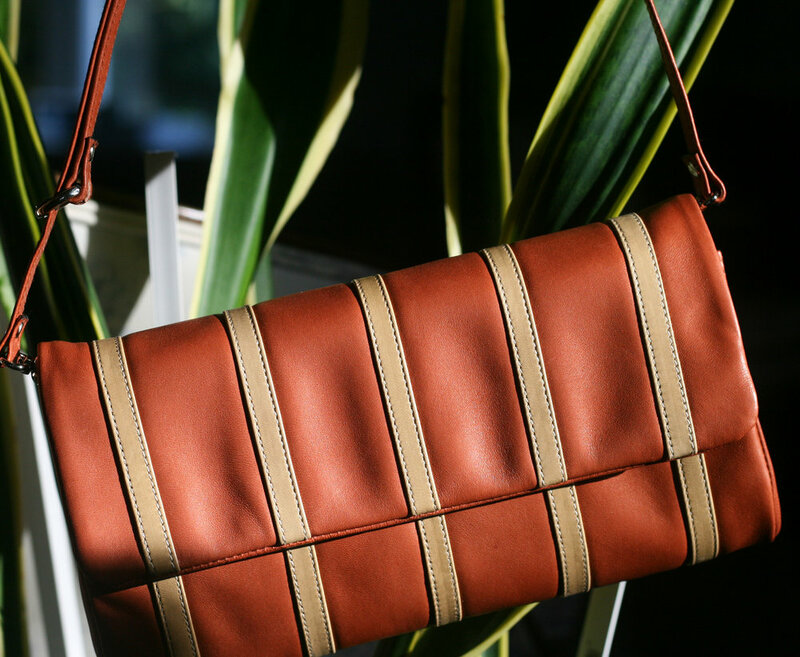 Buttery soft lambskin woven into a unique, custom design. Full length front flap with hand-cut French tipping. Magnetic snap closure. Lambsuede lining with large, zip, interior pocket. Removable shoulder strap.